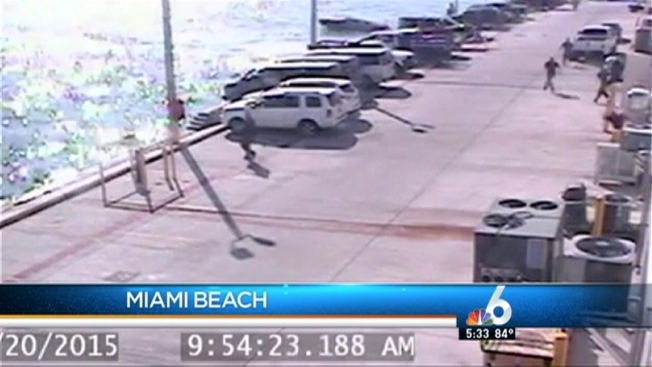 A man and a woman were injured after their boat hit a stationary seawall on the MacArthur Causeway in Miami Friday afternoon, the United States Coast Guard confirms. United States Coast Guard and EMS crews responded to the scene, which was on the east side of the Coast Guard base. Chopper 6 aerial footage revealed a fair amount of damage to the 25-foot vessel. The woman was in critical condition while the man was in stable condition, officials said. Both were found unconscious after the impact, officials said. "Our heartfelt thoughts and prayers go out to the family and friends of these two boaters," Coast Guard Capt. Benjamin Davis said. "Coast Guard responders from the base were on scene almost immediately, and began providing first aid on both victims before they were transported to the hospital." This is a developing story. Stay with NBC 6 South Florida for updates.